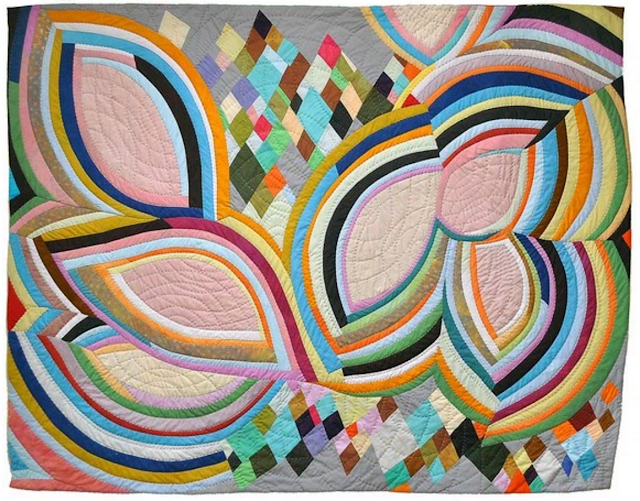 This week, we feature Sherri Lynn Wood. 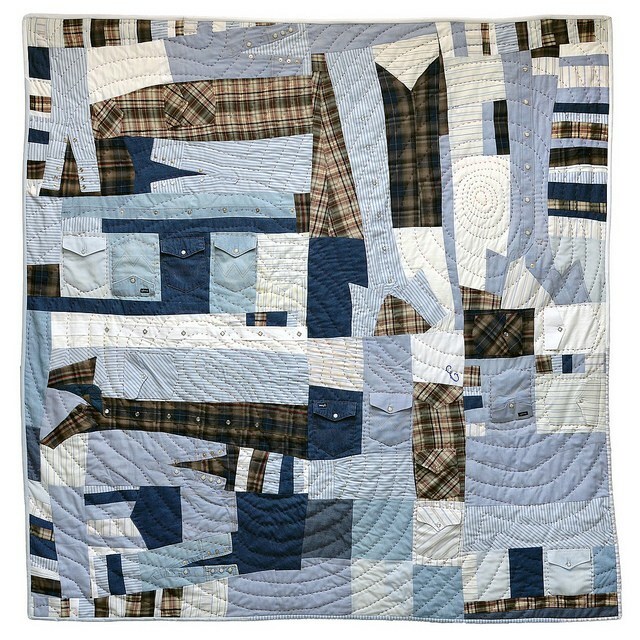 Sherri is known for her improv style and ruler-free piecing. 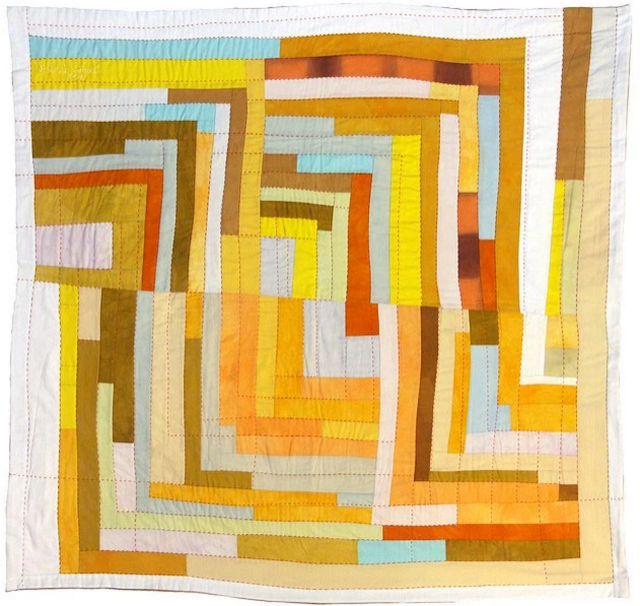 In her recent book, The Improv Handbook for Modern Quilters, she breaks free from the standard pattern structure and, instead, provides readers with "scores," or parameters for improv quilt-making. 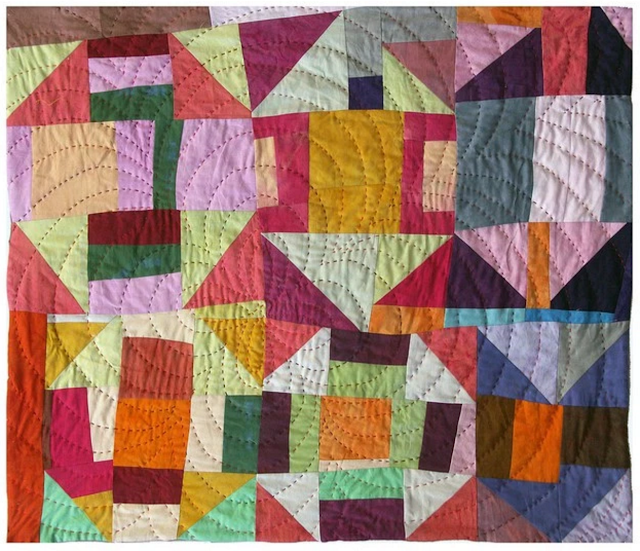 You will recognize Sherri by her wonderful and bold quilts with curved wedges and solid fabrics, in addition to her beautiful and simple hand-quilting. Her use of solids is impeccable. I can't wait to see which technique she'll focus on for Glamp!